Kick back, relax and have a MULtini to start your weekend. It’s made with my Brussels sprouts mul kimchee. My friend Nata Traub, mixologoist extraordinaire, has perfected what most only try to attempt—a kimchee-based cocktail that will rock your world. Mul kimchee is not spicy, Koreans served it as a soothing summer soup for those scorching hot days. It’s a relatively short fermentation, two weeks at the most, just long enough to go tart. 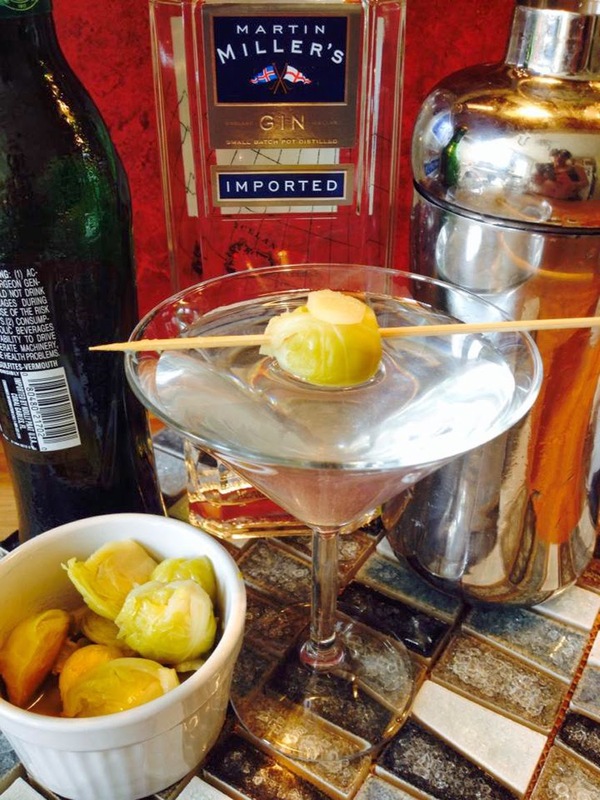 I’m not sure if I can tout the health benefits, but I can tell yo this is one fine martini with notes of juniper, ginger, burdock, wasabi and just a hint of garlic, garnished with a wedge of fine-aged Brussels sprout. It soothes the tongue like a good pair of kid gloves and blooms in your mouth like a cool summer evening.